Hi lovelies! As many of you will know, I work as a Beauty Therapist - now in my own salon (M Spa in Bishop's Stortford, if any of you are close enough to pop in!!) and I get a lot of clients, friends and other bloggers asking me this question very often, 'do I need to go to a salon for gel nails when I can buy a lamp myself?'. I thought I'd answer this on here as I feel it needs a little more explanation than a simple yes or no! First things first, there are now tons of gel lamps on the market on sites like Wowcher, in Boots and available to buy on eBay, Amazon etc... but this doesn't mean everyone should use them. I'm going to put it out there, I disagree with UV and LED lamps being marketed to the general public as something suitable for home use. While it is okay to do the odd set of gel nails yourself at home, there really is a reason that professionals go on training courses to qualify in treatments like Shellac nails. 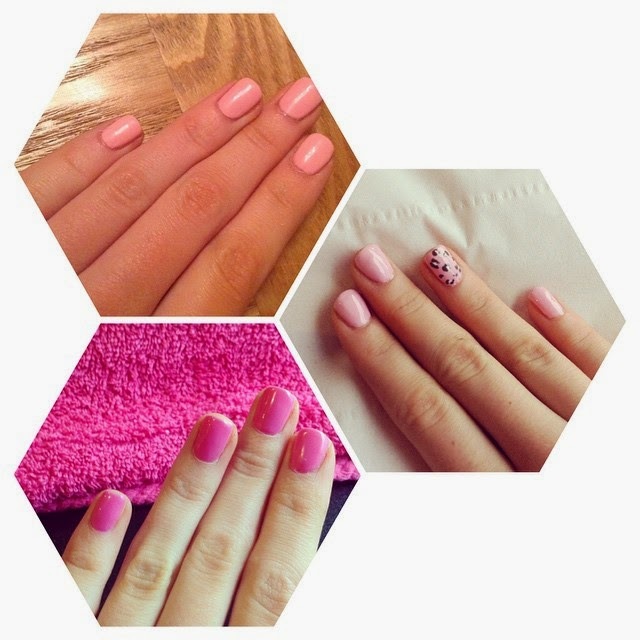 Despite looking very easy and appearing no different to applying regular nail polish, there really is a specific way to do gel nails that comes with proper training and practise. Obviously gel nails can be done with a lamp you purchased in Boots and of course, you will get a longer lasting mani than if you just painted them with regular polish, but when it comes to removal, you can damaged your natural nails if this isn't done properly, you also won't get the professional finish to your mani that you'd get in a salon. These polishes that you get on these sites may also appear to be the same as the ones you'd get in a salon, but they are absolutely not. Unless a brand is a 'salon brand', chances are the quality won't be the same. I'm a firm believer in professional brands when it comes to nails, as they are so easily damaged, you want to know you're using products that are definitely safe and recommended by professionals. I'm not completely shunning the idea of home gel kits, as obviously for those who can't afford or don't like to go to a salon they're good, as they'll always provide you with a slightly longer lasting mani, albeit not as long as the one you'd get in a salon! The one thing I have seen though and completely disagree with, is girls buying these lamps and offering gel manicures to 'clients' with no qualifications whatsoever. For one thing, these girls are not trained and are in no way insured should something go wrong. While doing this for friends and family may be fine, I definitely disagree with anyone charging the general public for services they aren't qualified to do. So, in conclusion, as a professional, my advice would be to always go to a salon, or have a mobile beautician come to your house to have a gel mani, but if you must do it yourself, do your research, be careful and definitely don't offer services you aren't qualified to do! What do you think? Do you do at home gel manis? What do you think about people offering these services outside of the salon? Hi lovelies! Today, I wanted to share another Mother's Day Gift Guide with you all, as I did an affordable luxury one already, I thought I'd do another, all jewellery and all luxury! Most of this is still affordable, but I feel like jewellery often just looks that little bit more special and personal, particularly when you pick a bracelet and add charms. You could get her own initials, your initials, her favourite animal etc. All of these Charms from Robert Gatward Jewellers are less than £30, which is fab! 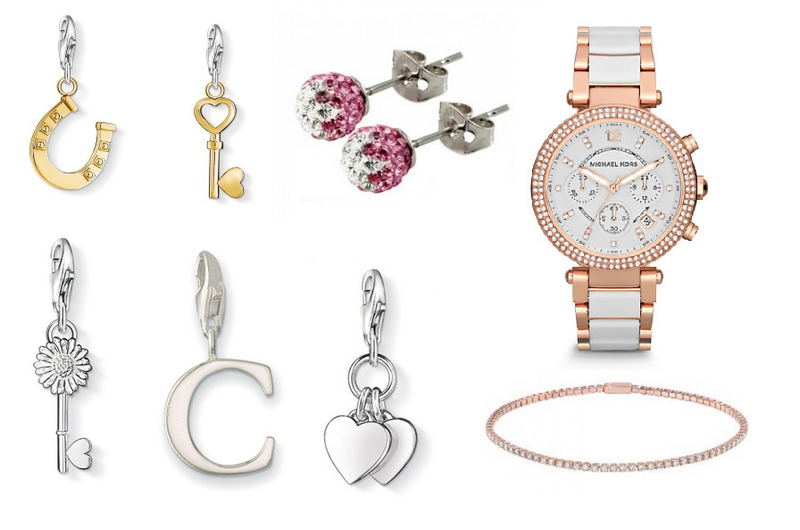 They are all Thomas Sabo, but can be added to any charm bracelet. I also love the Tresor Paris Earrings, if you fancied something a bit different and very inexpensive. For an special treat, this Tresor Paris Rose Gold Bracelet is just gorgeous and for £69, it's a little cheaper than some other brands. For a super special, luxury gift, this Michael Kors Watch, (or anything Michael Kors for that matter!) is just incredible, I think my Mum would burst with excitement at a gift like this! What do you think? Would you buy your Mum jewellery for Mother's Day? Robert Gatward is fab as they use Royal Mail First Class and Special Delivery, so your pressie is pretty much guaranteed to arrive in time! Hi lovelies! Are you still stuck for a Mother's Day present? With just 5 days to go, I thought I'd put together a little gift guide of some items that I think would be perfect for Mother's Day. You have just about enough time to order these online (next day Delivery could be your best bet!) or pop out to the shops to pick these up if you see something your Mum will love, so get moving! I wanted to put together a list of luxury items that are reasonably priced, so you can give your Mum something special without spending a fortune. All the items on this list are £30 or less, putting them in an idea price range for Mother's Day. This Washbag from Ted Baker is just gorgeous, it's £27, so not the cheapest Make up bag around, but it's certainly something a little more special than a £3 Primark one! My Mum loves Ted Baker so I know she'd absolutely love this for Mother's Day. If you wanted to do something really special, you could pop her favourite lippie or a face cream inside as an extra treat. For a glam Mum, this Rose Gold Bangle from Kate Spade is just beautiful. At just £25, I think this is super inexpensive for a piece of designer jewellery. I'm pretty sure these come packaged really beautifully as well, so this would be a seriously special gift for your lovely Mum! Another glam Mum present is this stunning Michael Kors Keyring from Selfridges, pretty much any lady out there would be thrilled to receive anything Michael Kors and a keyring is just something a little different without being too expensive! This is £30, so a lot of money for a keyring, but it's totally worth it and as a gift, it's definitely very special. If your Mum is a beauty addict, this Bobbi Brown Gloss trio from Selfridges would make a fab gift. 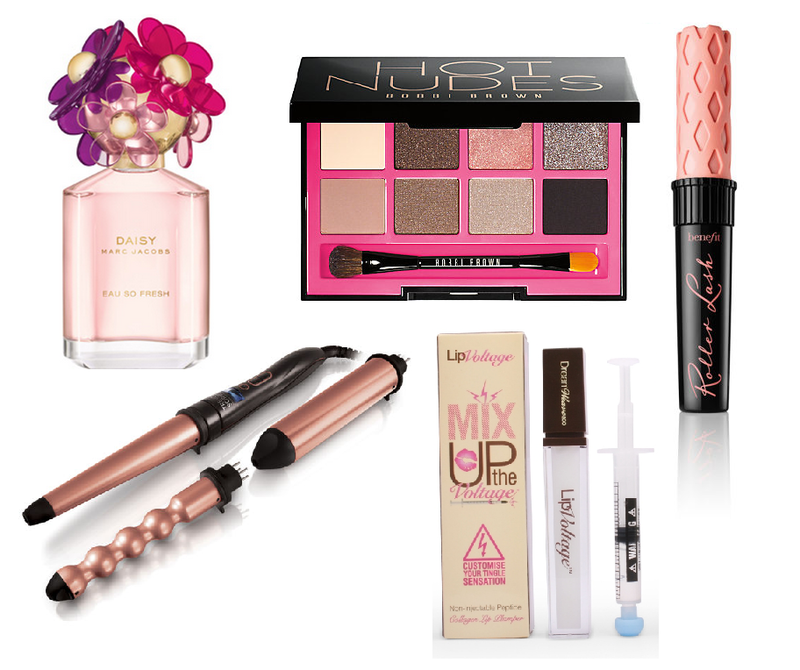 At £29, it's affordable and she gets three brand new lip glosses to try - perfect! If homeware is more your Mum's thing, this super cute Emma Bridgewater Mug from John Lewis is a very cute gift. For £17.95, it's definitely a luxury mug, but your Mum will remember her gorgeous Mother's Day gift every time she drinks from it! Another homeware gift that I particularly love is this Lily Flame trio, also from John Lewis. I burn Lily Flame candles in the salon and almost every client that comes in comments on how lovely it smells. These are some of the best candles ever in my opinion as the scent really fills the room, but isn't overpowering. Most Mums love candles so for £18, she can have three stunning scents to try before buying one bigger one. So that's it! Let me know what you think! Hi lovelies! Lately, I've been drooling over looking at lots of sites like Simon Wright Jewellery at very special pieces of jewellery, as my 21st Birthday is coming up and I'm still unsure of exactly what I want to ask for. One thing I was thinking of asking for was a piece of diamond jewellery. 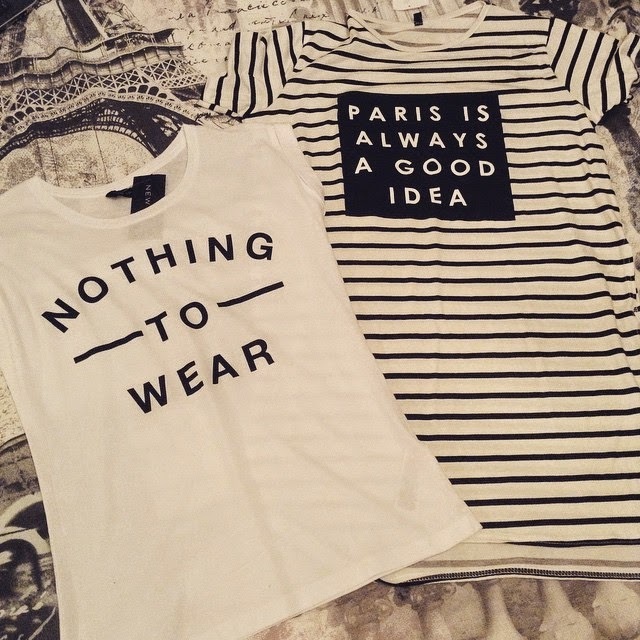 These exact pieces may be a bit of a dream due to the price tag, but a girl can dream right? I absolutely love these simple Diamond Stud Earrings, I don't really do big earrings so simple studs like this are just perfect for me. I always wear little fairly plain studs so that they go with everything I wear, but these would just be that little bit more special than usual!This Solitaire Diamond Necklace is another super simple piece and I think it's beautiful. Again, this something you could wear every single day and it would just go with everything. This Diamond Line Bracelet seriously reminds me of something one of the 'Upper East Siders' would wear on Gossip Girl. It's like a super fancy version of those little stretchy crystal bracelets that were so cool in the naughties (who remembers?! 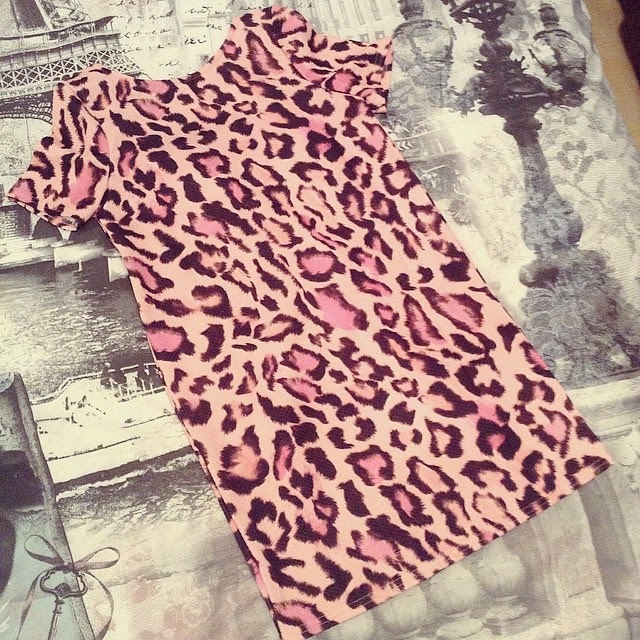 ), I'd literally never want to take this off if I owned it!! Finally, I am obsessed with this Halo Engagement Ring - no I'm not getting engaged and I'm aware that there's absolutely no need for me to have this, but how beautiful is it? For me, I actually wear more rose gold, so if I were to get engaged, I'd want a rose gold ring, but wouldn't it be fab to have a diamond right for no reason? What do you think? 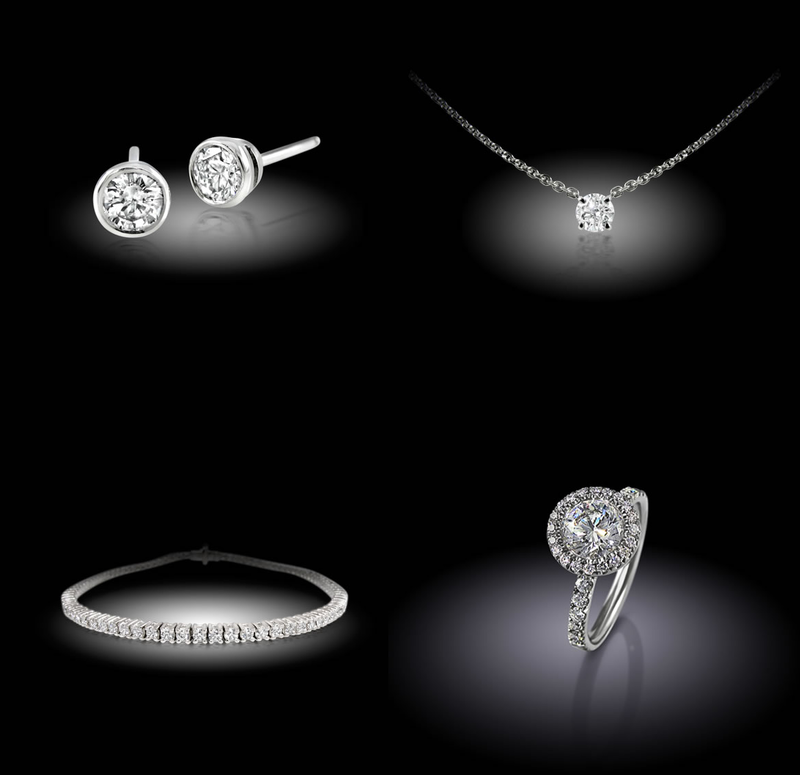 Do you dream of diamond jewellery like I do? Hi lovelies! Today, I wanted to share a few of my current favourite things that I've bought/ received lately. You may notice a bit of a theme with this little haul.. see if you can spot it! First off and definitely the most exciting, my incredible boyfriend Darren got me this stunning Hot Pink and Rose Gold Michael Kors watch as a 'Salon Opening' present. I have honestly never been so excited about a present in my life. I pretty much only wear Rose Gold jewellery and Hot Pink is my absolute favourite colour and the colour of my salon, so this literally could not have been more perfect for me. 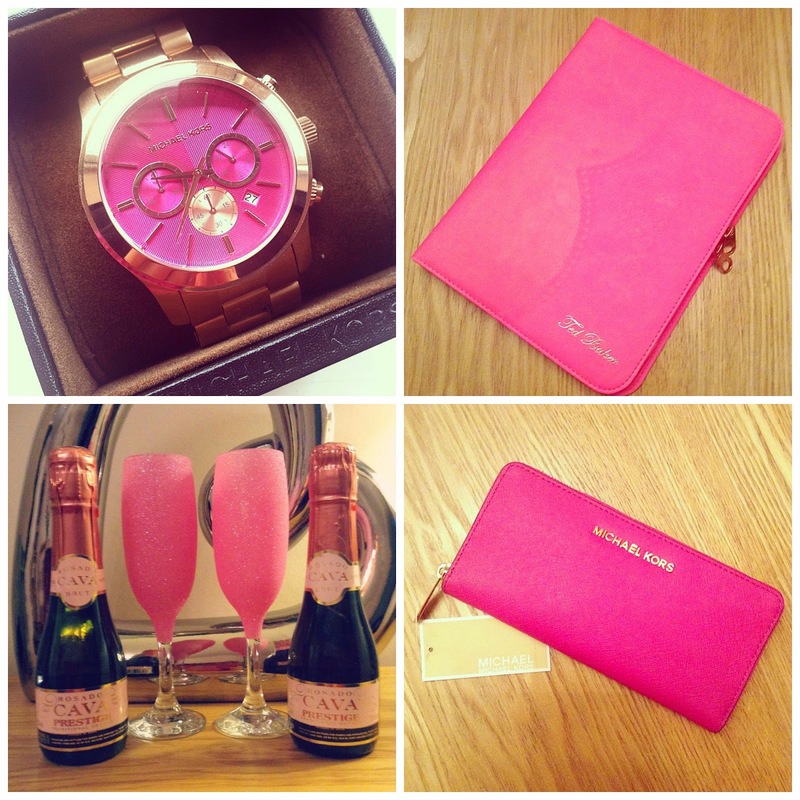 The absolute beauty in the second picture is a Ted Baker portfolio case c/o of the lovely people at Flamingo Gifts, they stock a huge range of incredible gifts at very affordable prices. This case is fab for work as it includes a notebook as well as a phone slot, spaces for cards and a pocket for papers and things. I absolutely adore this and definitely recommend checking out Flamingo Gifts if you have any gifts to buy right now (or just fancy treating yourself!). The Pink Glitter Champagne Flutes were an ebay find and I'm obsessed with them, they paired perfectly with the pink bubbles given to me as a Salon Opening present from my Aunt, Uncle and Cousins! The Fuschia Michael Kors Purse was a very naughty present to myself and I am obsessed with it. I got the last one online at John Lewis and can't find it elsewhere online, but you may be able to get this in stores. I'm desperate to get the matching Saffiano Tote now, it's super Barbie and I don't even care. Gelish Let's Go To The Hop is officially my new favourite nail colour. It's the perfect bright pink without being a neon, which I'm still not quite ready for, maybe next month! My gorgeous new phone case was an absolute bargain at just £3.45 on eBay! I'm aware that the all over glitz is a little bit tacky but I kind of love it. For eBay too, this is really good quality, I've had so many cases like this that fall apart after a couple of days but this one has been fab and super sturdy. Another eBay bargain, this gorgeous iPad mini case was only £9.15 and I'm in love with it. I like the cases that cover the screen, as I carry my iPad in my handbag a lot and use it at the salon, so it needs all the protection it can get! 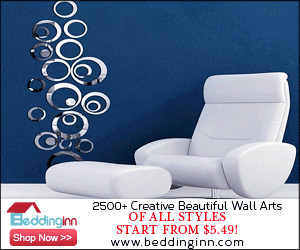 This one is very sturdy and great quality for the price and how pretty is the design? Finally, these little beauties were some little gifts Darren gave me for Valentines day. Obviously there was a mostly Chihuahua theme to the gifts, but he also got me two bottles of my new absolute favourite perfume, 'Victoria's Secret, Fabulous', it's great to have two as I think this may be limited edition, but I think you can get this on websites like All Beauty, but don't hold me to that as I'm not sure exactly which site he got it from! So that's it! 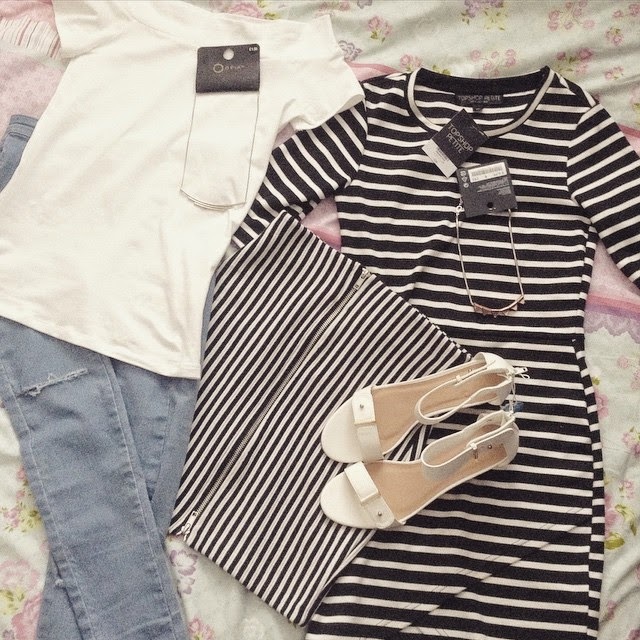 What's your favourite thing in my mini haul? Hi lovelies! I have an excting post for you all today! I have teamed up with Barkbeats to giveaway not one, not two but three Bark Beats Boxes for your dog! Belle has had a BarkBeats Box before and she absolutely loved it, they include doggie treats, toys and care items, perfect for every dog lover! So, let's get into how you enter! Barkbeats wants to welcome spring by giving away 3 pawsome boxes. The 3 winners will get a Barkbeats box!!! That's not all! 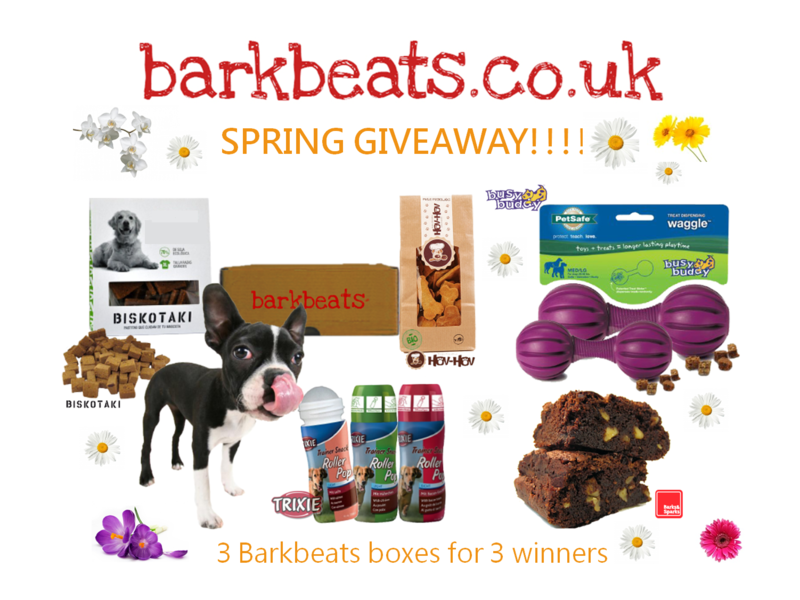 If you enter the code SPRING on the BarkBeats website, you can get £5 off your first box! That's it! Get entering and good luck! Hi lovelies! Today, I have a bit of a different post for you all today, as I thought it'd be something a lot of you would be interested in. 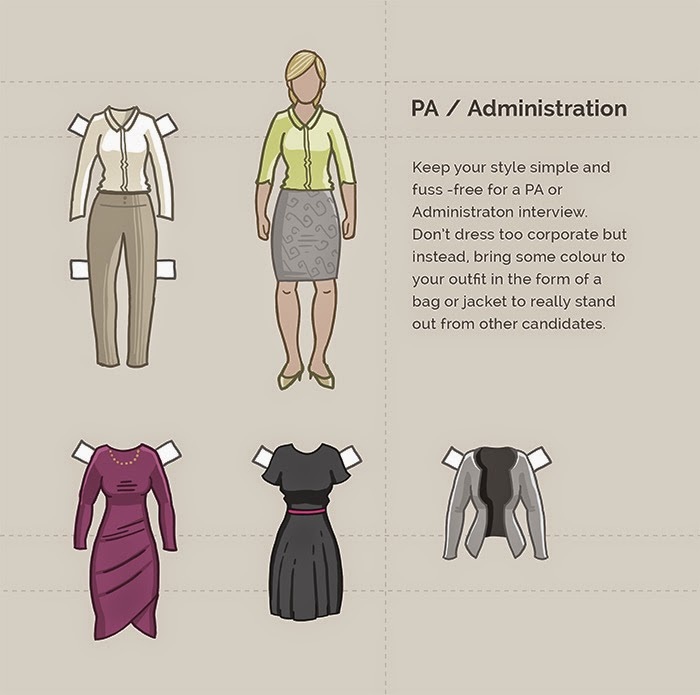 I'm going to be talking about the importance of choosing the right look for an interview. As someone who is currently interviewing at the moment, I know the importance of dressing appropriately for your interview. As you all know, the industry I'm in is Beauty and with this industry, it's very important to look the part. In Beauty, particularly if you're going for a job where you'll be working on clients such as Beauty Therapy, Make-up or hair, it's important that you come to the interview as you would for work. This doesn't necessarily mean wearing a beauty uniform - though this can be a good idea if you're going to be doing a trade test - but come neat, tidy and well presented. As it's not the kind of job where you'd be suited and booted every day, you don't need to dig out the collared shirts and pencil skirts, but looking put together and stylish is definitely a bonus. For me, I'm looking for someone who clearly knows what they're doing, so if someone were to come to me for a beauty interview with unkept eyebrows, chipped nails and patchy tan doesn't give the best impression. You don't have to be tanned with acrylic nails and lash extensions to look the part, but looking tidy and well groomed gives a good impression to clients and therefore gives a good impression in an interview. Personally, I'm not overly fussed what the girls I interview are wearing, as long as it's clean, tidy and somewhat stylish. I think coming to an inteview straight from the gym or in the same sloppy sweatshirt you've worn all day smacks of a bad attitude. 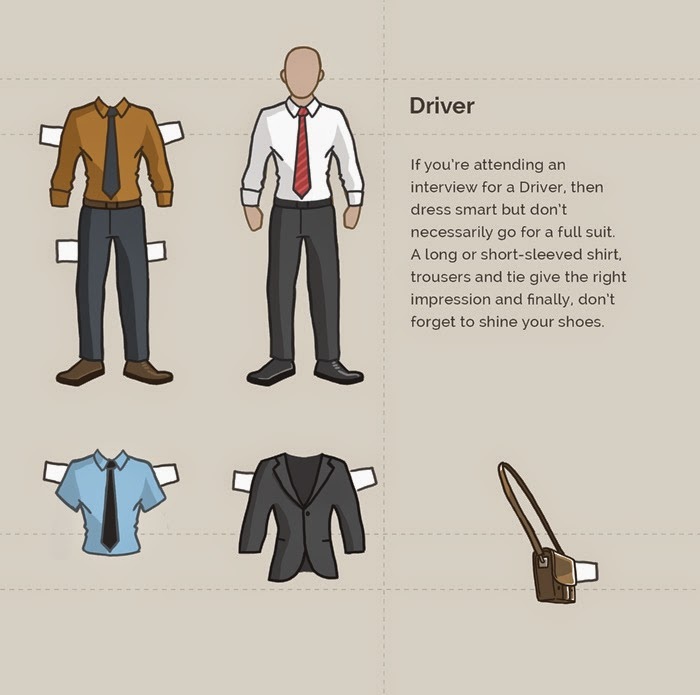 You could be the hardest worker in the world and while clothes and looks aren't the be all and end all, the truth of the matter is they do give a strong first impression and if one person looks as though they've made an effort with their look, it gives the impression that they're going to make an effort at work too. The examples above are from Pertemps, I think these are fab as they show two very different examples, both from industries that I'm definitely not experienced in, so if you're going for a more office based role, this may be helpful for you! I figured as a lot of you reading will be interested in Beauty and Fashion, so my experience with this may be helpful to those of you going for jobs in this industry, but if you're not, hopefully the ideas above may be of some use to you! Obviously, you'd need to judge this on the job you're going for a retail job in Topshop, you're going to dress very differently to if you're going for a managerial position in a Bank in Central London! I hope this has helped you all somewhat, particularly if you're going for a job in the Beauty industry! Let me know your thoughts, do you think dressing for an interview is important?